If you are looking for a way to change scenarios from the city, we understand! We love NYC, the home of Faviana headquarters for more than 30 years, but we know that during the summer months it can get a little too much sometimes, with all the flocks of people flying in, the busy subway trains, the endless lines. However, if you can’t really commit to a long vacation because you don’t have the time, budget, or availability, you might consider taking one of our ideas for the best weekend trips from NYC. These places are so much fun and a different change of pace from the city, and what’s best, they are close enough to allow for a weekend trip or even a day trip! How to get there using public transportation: Take the Hudson line to Peekskill station (45 minutes) and then a 15-minute cab ride to Bear Mountain. What to do: If you need a day to chill from the hustle and bustle of New York City, head to Bear Mountain for a day of hiking, biking, picnicking and breathing pure and fresh air. Enjoy the views of the lake, which has fishing access, admire the animals at the zoo and then maybe have a splash in the swimming pool. This beautiful state park close to the Hudson River is one of the closest places you can travel from NYC without feeling like you are getting too far away from the city. How to get there using public transportation: You can take the LIRR (Long Island Rail Road) to Montauk, this is the most popular way of getting there. The trip takes roughly 3 hours, give or take, and you can depart from Penn Station. There are only a couple of direct trains, most of them several stops, so make sure you get your tickets with time. If you want to use the bus, another option is to take the Jitney, which goes out on Friday afternoons. It takes around 3 hours and it goes out from multiple places around the NYC, dropping you off at the center of the city. 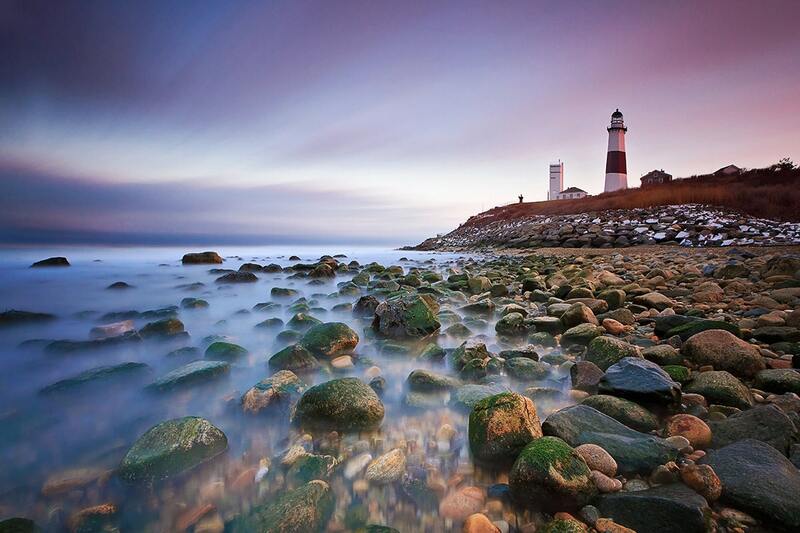 Often nicknamed The End since is located in the farthest point of Long Island, Montauk technically is a part of the Hamptons, however, it is smaller, more chill, and more focused on its natural beauty than in the “scene”. Enjoy a day at the beach, learning how to surf and use paddle boards. There’s also a quite lively nightlife with plenty of nice restaurants located close to lodges and cabanas. How to get there using public transportation: You can take an Amtrak train from Penn Station to Harrisburg. Or, you can take a Greyhound bus from Port Authority to Harrisburg. From the Harrisburg station (both the bus and the train), take a CAT (Capital Area Transit) #322 to Hersey Park. Also, a company caller The Coaster Bus will take you there for $60 round trip, departing between 7:00 AM and 8:30 AM and returning at 10:30 pm for maximum enjoyment. 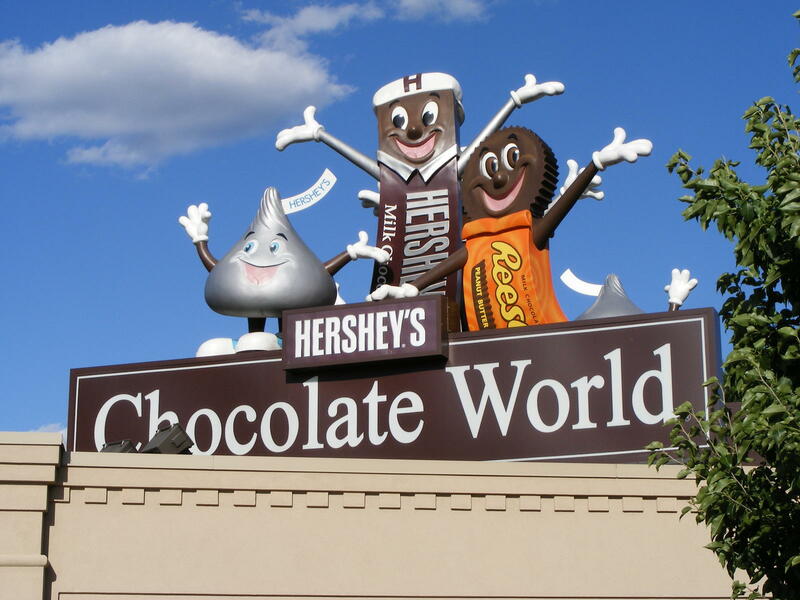 What to do: If Disneyland is the Happiest Place on Earth, Hershey really is the Sweetest Place on Earth. Have a day of fun getting to know this town in Pennsylvania where the focus is in all things chocolate! Go to the Hershey Park, a theme park with roller coasters and water rides, perfect for all your summer thrills that you have been craving. And of course, eat all the chocolate that you can handle! How to get there using public transportation: You can take the Amtrack train from Port Authority (the train can get you there in anything from 3 h 45 min to 4 h 30 min, depending on how many stops is doing) or take a Greyhound, Peter Pan or Megabus to the city center (around 4 hours). What to do: Enjoy a mini trip to historic Boston! This town is like a smaller, more relaxed version of New York. Have fun recreating the Boston Tea Party, where costumed interpreters encourage you to debate the pros and cons of the Revolutionary War. Take a stroll through the Freedom Trail, have a lobster roll at Quincy Market, and even catch a game at the famous Fenway Park. If you are an art lover, you can’t miss the Isabella Stewart Gardner Museum, which has one of the most beautiful architectures of any museums ever (and is home to John Singer Sargent’s masterpiece, El Jaleo). Fun fact? If your name is Isabella, they let you get go in for free! How to get there using public transportation: You can take the Amtrack train from Port Authority (the train can get you there in anything from 2 h 50 min to 3 h 20 min, depending on how many stops is doing) or take a Greyhound, Peter Pan or Megabus to the city (around 4 hours or a little more). 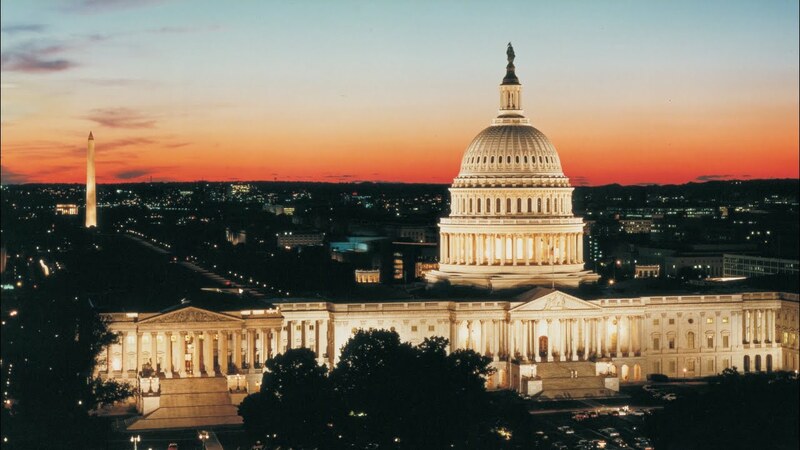 What to do: The nation’s capital is relatively close to NYC for a nice mini trip and it surely deserves a visit. If you want to learn all about its cultural institutions and historical importance, make sure to pay visits to the White House, the Capitol, the National Mall, and some of the most amazing art and history institutions like the Smithsonian (which is free to attend). A particular favorite museum in the city, though, is the Spy Museum, which is actually quite big and requires spending a few hours for maximum enjoyment! So what do you think of our list of our list of the best weekend trips from NYC? What’s your favorite getaway? Let us know by tagging us in Instagram @glamandgowns, and Faviana’s Instagram @Faviana_NY and Twitter @FavianaNY. Also, don’t forget to subscribe to our Youtube channel for more fun vlogs @FavianaNYC!